When it is not Halloween, you ignore said sight. I mean, it must have been a trick of the dark, the door closing a slight gust of wind, the howling trees just whistles of the night. There can’t really be a faceless man waiting to butcher you, using all the tricks of the trade to build up his sick anticipation. Just doesn’t happen. But then again… it is Halloween… so how can you possibly ignore it? How can you ignore the shiver that runs down your spine but when you turn around, no one is there. How do you rid yourself of the sensation someone outside your window is glaring at you with a twisted smile on their face… do you dare peak through the window? 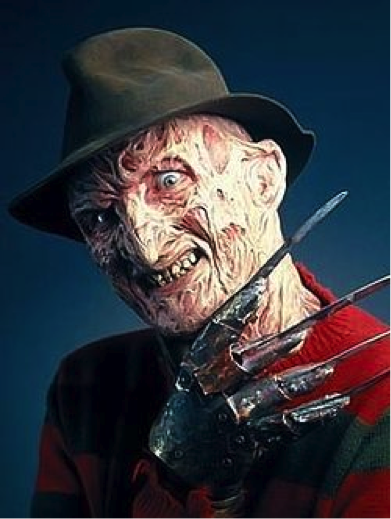 Or are you too afraid to see Freddie’s clawing hands rip through you like you were a cotton stuffed mannequin? Or are you? Were you really scared? Did the night not enliven your senses, the tingling giving you adrenaline rush? Did you not peak through your fingers at the exorcist and smile, just a touch? Nothing scary, nothing crazy, just a hell-of-a-lot-of-halloween baking! 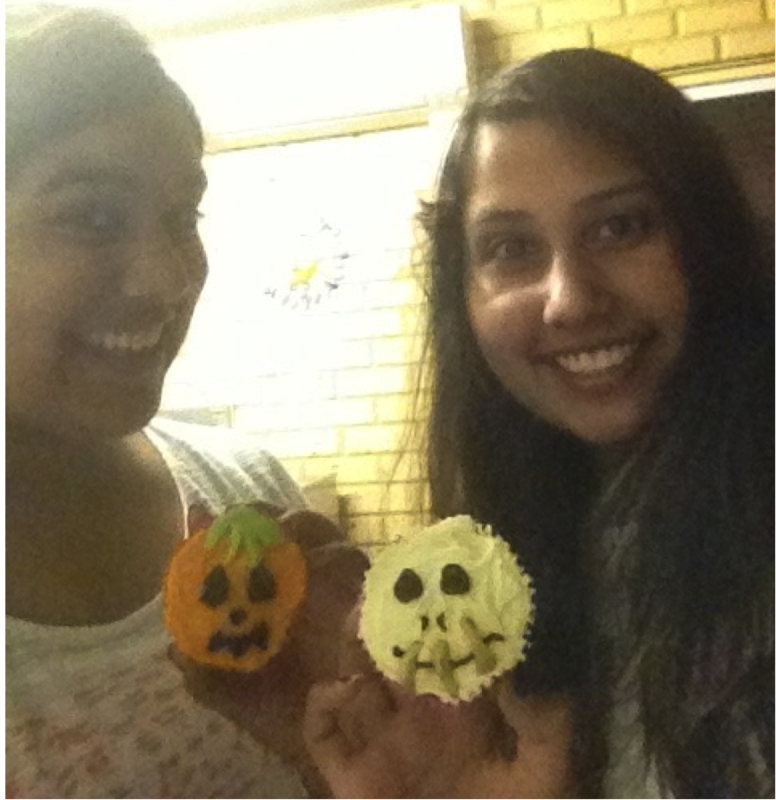 We made so many different designs of cupcakes, it is scary just thinking about it! 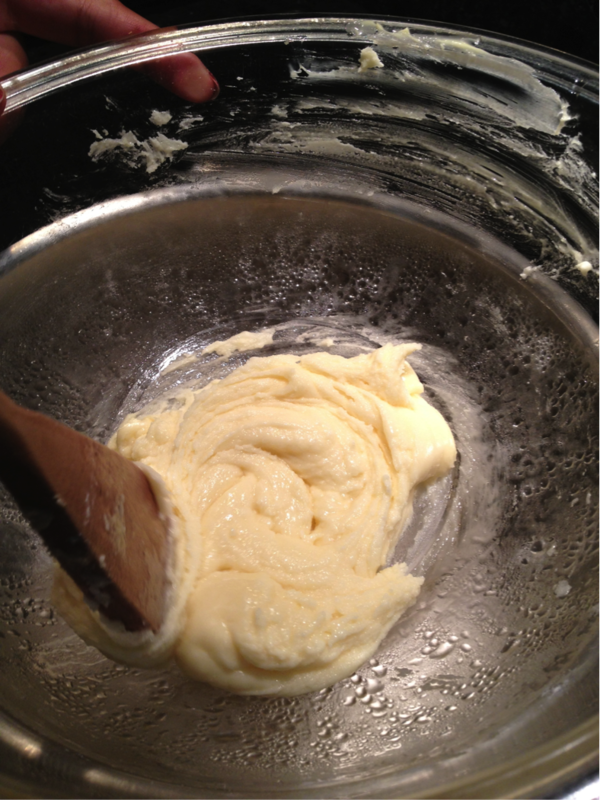 Pour into half the batter and mix in till well combined. 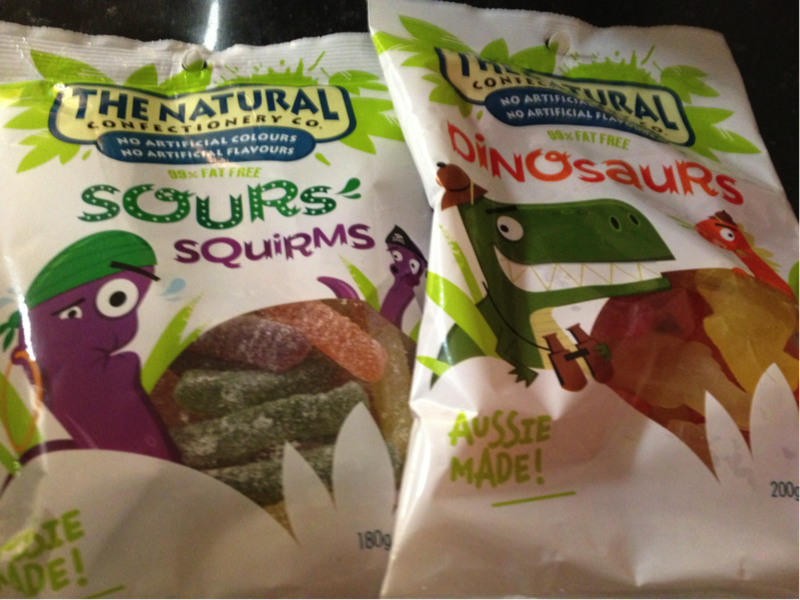 Beat in any flavourings required or desired or both according to taste e.g. 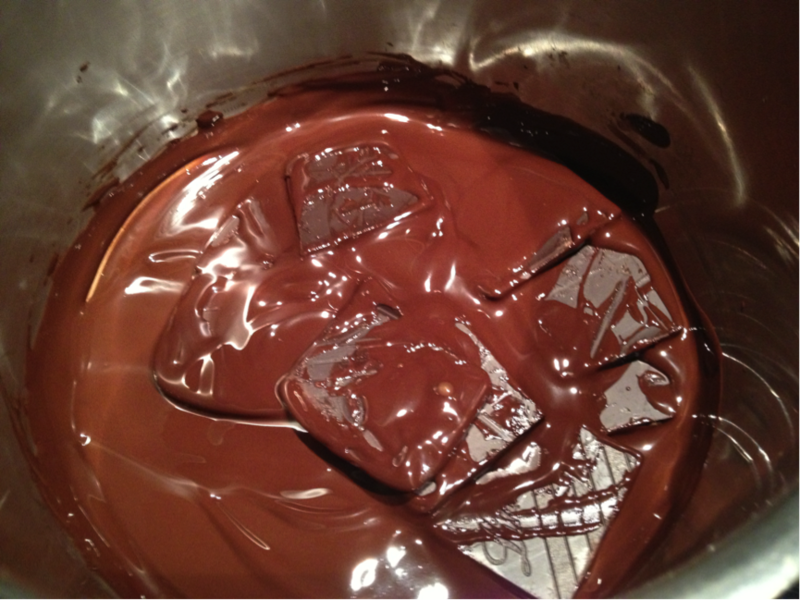 cocoa powder, citrus peel etc. So here are some ideas pour vous mes cheris! 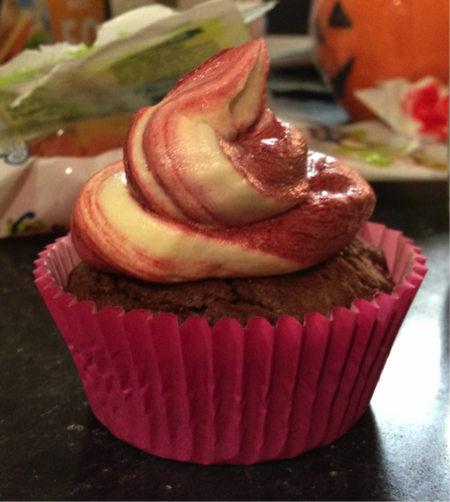 Dye your frostings different colours – We did this in many ways but I personally found my favourite results from doing this came from double colour piping- simply place a barrier in centre of the piping bag out of hard aluminium foil then put equal amounts of each colour on either side. 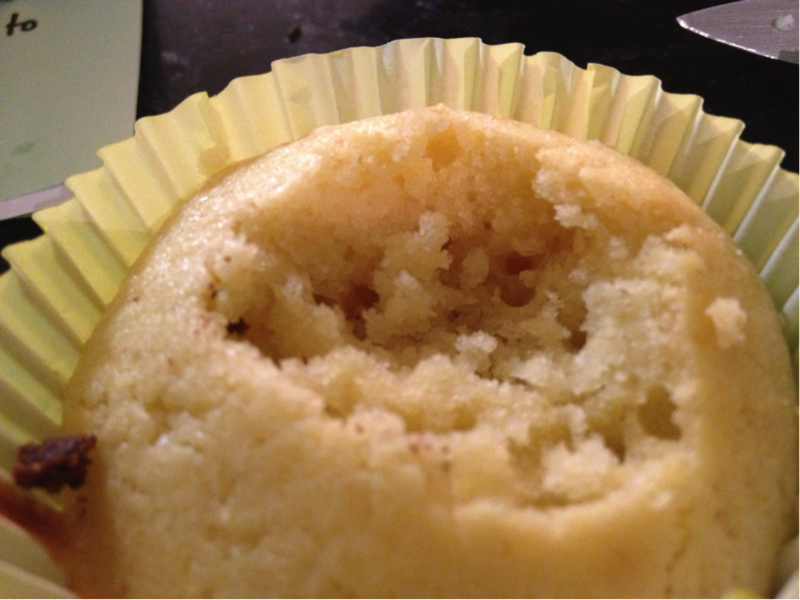 Carefully remove the aluminium barrier and then scrape any icing back into the piping bag. Twist together and voila, use a large tip to pipe away your two-tone frosting! Sweet dreams mes amis, JJ and I say goodnight for now but the fun has obviously just begun… watch out! Ha ha – I think you had fun 🙂 Love those cupcakes girl! The two of you look like you’re having so much fun! I love the spooky photos and those cupcakes are just darling. I want the one with the worms coming out of it. 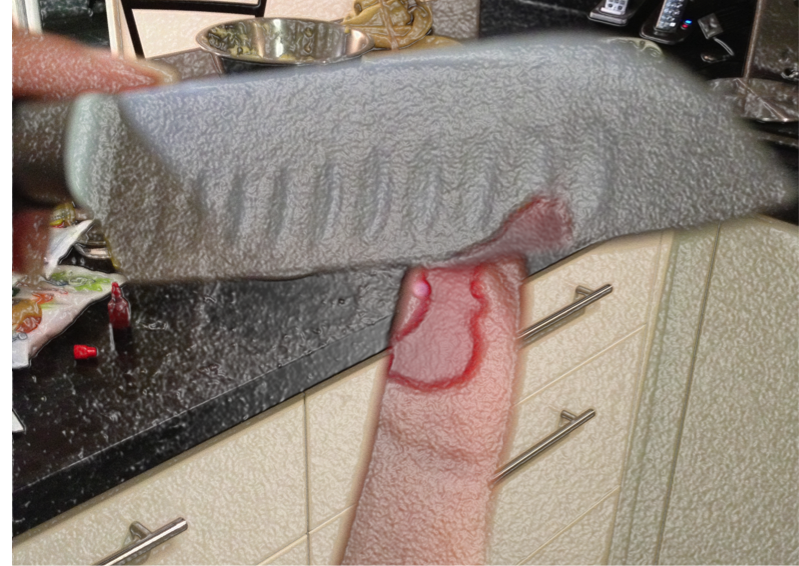 That pic of the knife cutting into the finger… once I figured out what it was, yuk, you got me. Truly creepy and fun! Hi to your lovely friends who helped with the baking and tasting. Glad to see you’re having such a good time through your high school years. These are so so cute 🙂 Also I totally made my kids watch the Thriller video in its entirety on Halloween. You are too much girl!! Very creative cupcakes…looks yummy too! You girls seem to have had loads of fun and are super cute! Your cupcakes look amazing! you must have had an amazing Halloween, a lot of good fun! 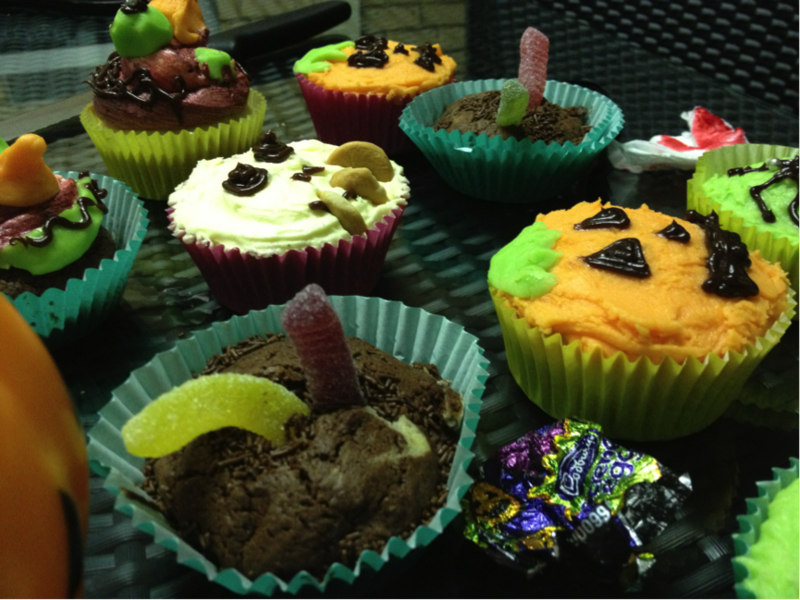 I like your spooky cupcakes ….very cute! I adore the pumpkin cupcakes! Just too cuto! I think you guys loook pretty cute Uru! Glad you had a fun Halloween — not too, too scary! Thriller never ceases to spook the heck out of me! Thank goodness for cupcakes! 😀 I hope you had a happy and fun halloween! HUGS! ah that’s spooky fun! who finish all the cupcakes? Those are some cute cupcakes! A friend of mine recommended Pretty Little Liars but haven’t had the chance to watch it again. Maybe when I finally finish my damn uni assignments! You are much more committed! Halloween is my favorite holiday, but unfortunately Hurricane Sandy wiped it out this year. 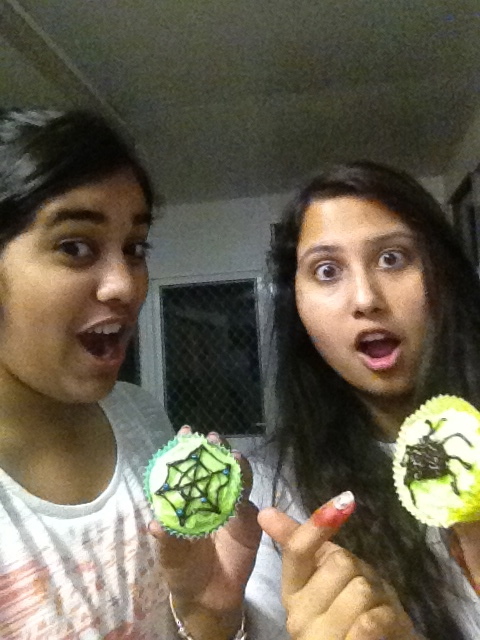 However, your post and spooky/yummy cupcakes made me smile AND drool! I love all the photos..you are so cute! You and your friend sure know how to have a grand time. 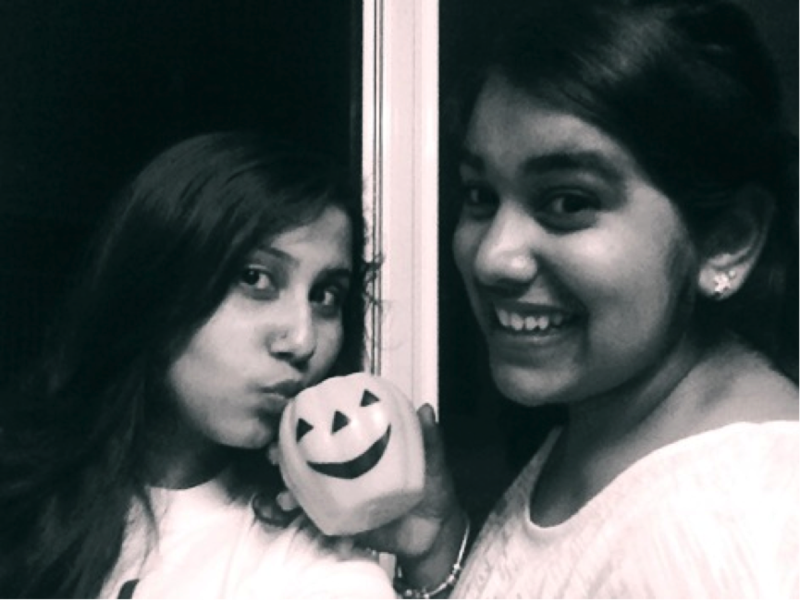 I am so glad that you and your friend had a spooky and fun Halloween! Two sweet and beautiful young ladies! Looks like you had a blast! Really cute post. Looks like you guys had great fun. These cupcake looks cute and sure delicious. What a cute post, you made me smile:) Your photos and cupcakes are so much fun. Hope you had a great Halloween! SOO MANY CUPCAKES OMGAAHH! I should have come to your place last night! Great fun post! 😛 I can never get my icing right – I don’t know why. I’ll try your instructions next time I do some cupcakes. Have a great weekend! What a fun post, Happy Halloween! 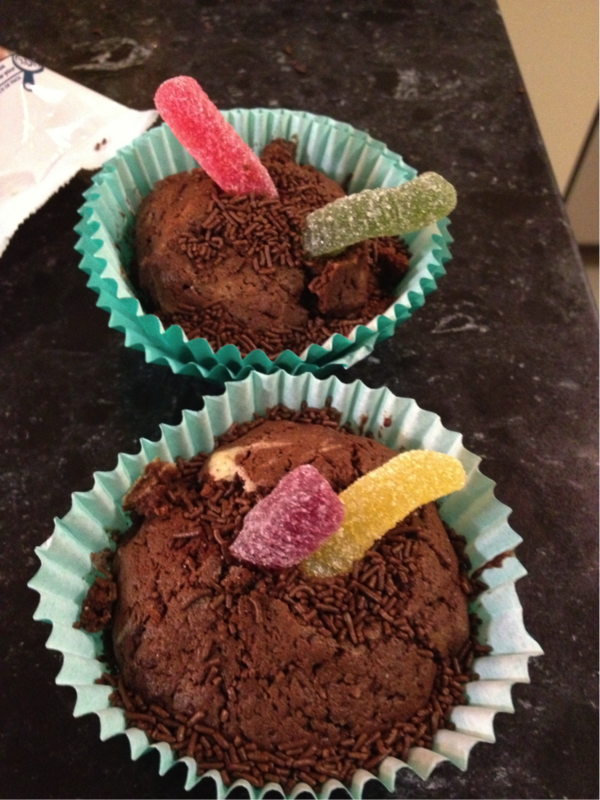 I love the dirt cupcakes with the worms! 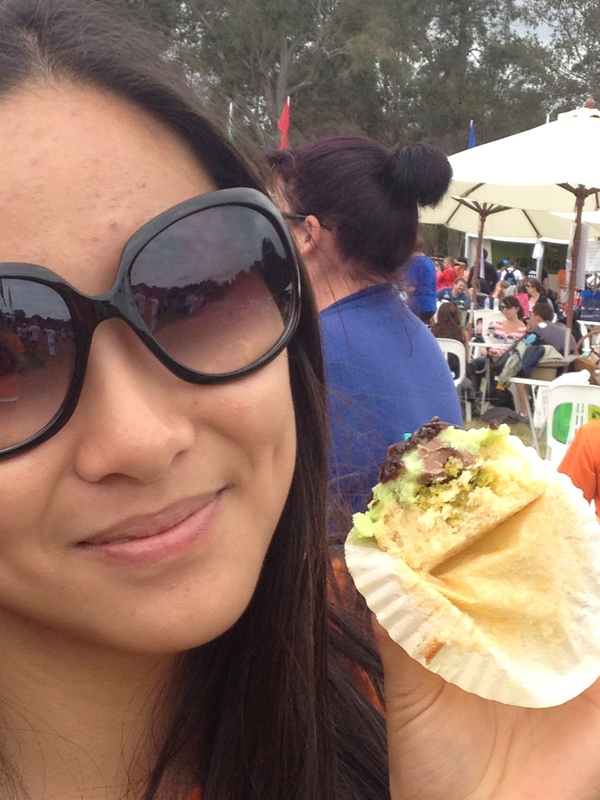 I do love a good cupcake! Looks like you had lots of fun…and I need to check out “Pretty Little Liars” on Netflix sometime. Sounds like you and your friends had an amazing time! What an incredible collection of halloweeny goodies! What a fun time you must have had with your bestie. Sounds like you had a fun halloween! I do believe I will need to bake something for this occasion next year with all the cute things I’ve seen this year! Cute cupcakes! That’s a fantastic way to spend Halloween night. 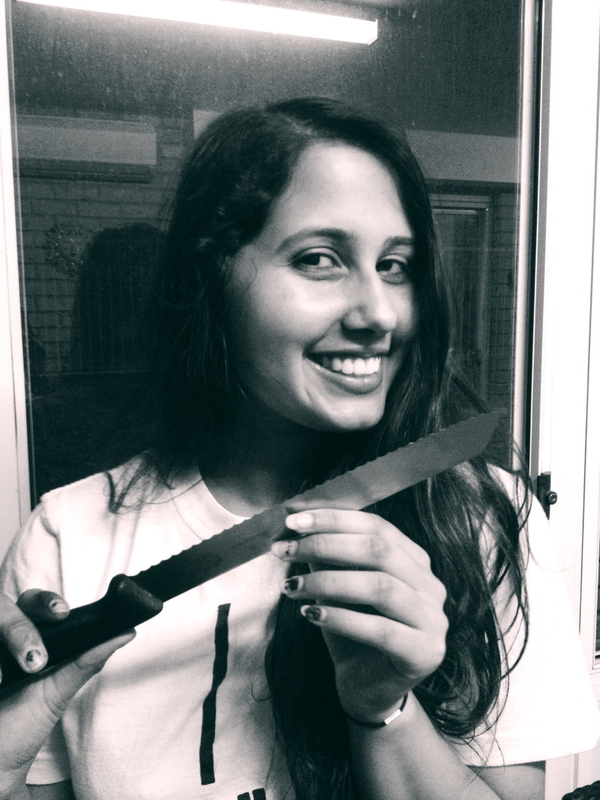 No playing with knives!!!! LOL. Happy Halloween though I’m a day late! you guys made so many different cupcakes! Such colourful goodness! hope that you had as much fun eating them as making them. 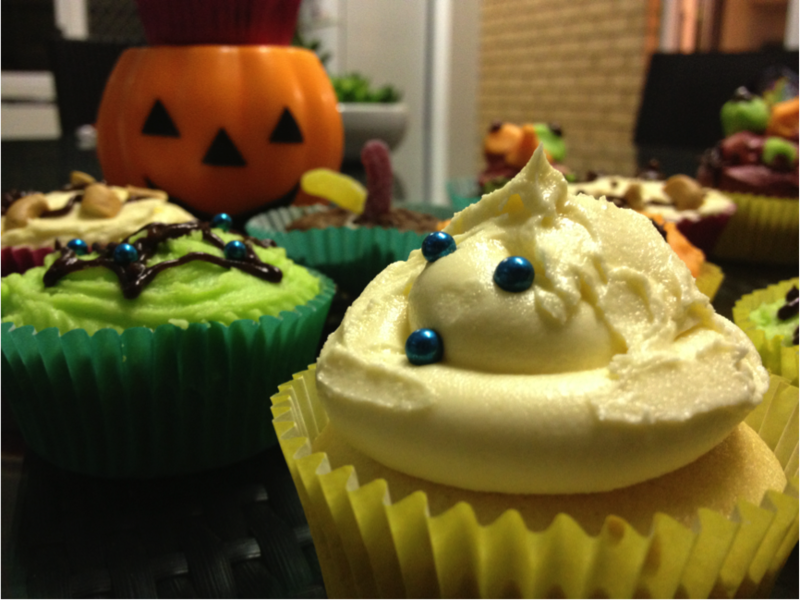 lovely ‘tricky’ treats for Halloween! Boo! And what’s Freddy doing in the pix? Did he visit u too?? Scary!! Hahaha! Gosh, u’re so cute! Those cupcakes are adorable! You are too cute and funny! I love your stories. Love the photos and those cupcakes are simply amazing!!! I knew it would be fun over here tonight! Best time I’ve had all night! Happy Halloween! I loved your creativity! Happy Halloween CCU! I love all your decorated cupcakes – it looks like you guys had a LOT of fun! Cute cupcakes Uru! And Happy Halloween to you! Chippy, you’re so cute. Love the funny pics and the cupcakes look great! Love all the pictures! It looks like you two had a great time messing around and baking! I love Halloween, it’s my favorite. Your cupcakes are so cute. 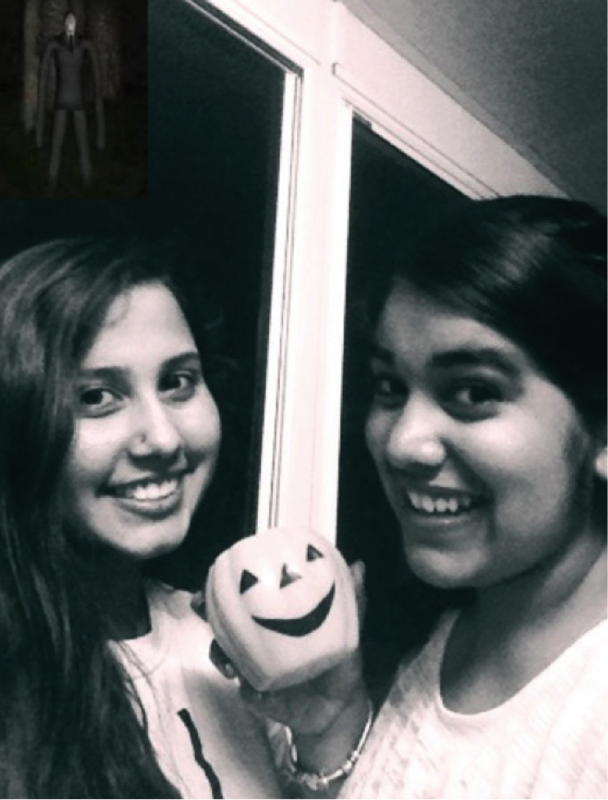 Have a Happy Halloween Uru!! I hope everything is getting better my friend and then you guys deserve a HUGE candy blow out! You are both adorable 😉 What fun to make cupcakes together and they are fun, fun cupcakes! 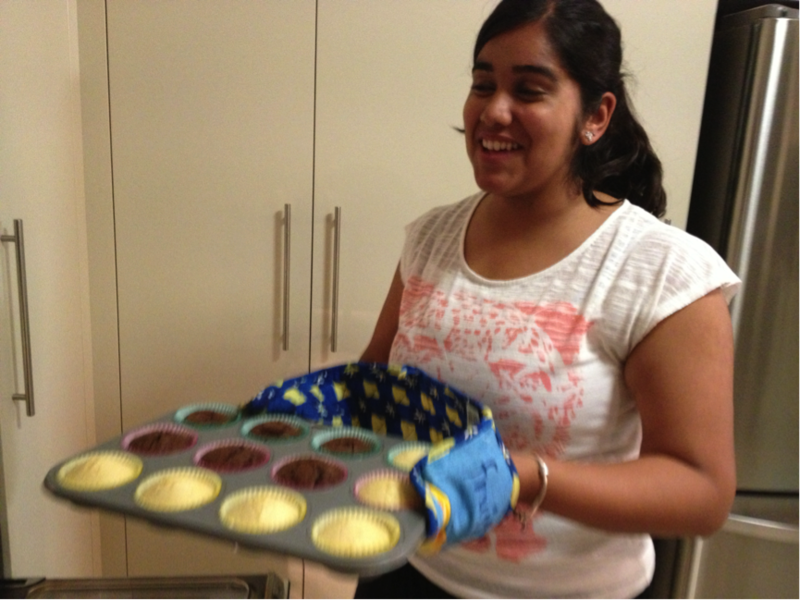 Looks like you had an absolutely amazing time baking! Your cup cakes look really lovely, a lot of imagination clearly went into the designs – I’m impressed. Love the cupcakes! Looks like you two had a blast. LOL! You two are funny! That zombie photo.. priceless! 🙂 I love all your spook-tacular creations!! Well done ladies! Well this is kind of a creepy post…but in a totally festive way! Adorable cupcakes! Looks like like you both had a great time together! Yummy cupcakes, all these designs and decorations look great. Loved your pics! How freaky was Pretty Little Liars?! I think I was tense throughout the whole episode. Haha. Wow, all of these cupcakes look great! 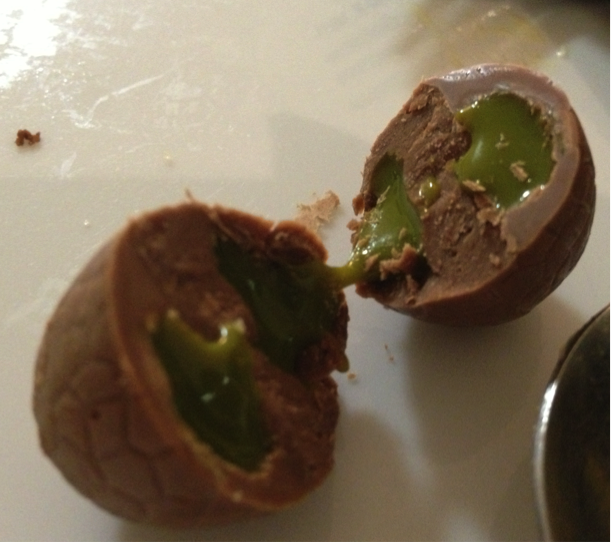 And putting the screme eggs in them? Yum! OMG I know right? My friend and I were checked the time after what seemed like a minute and BAM, only 5 minutes left! 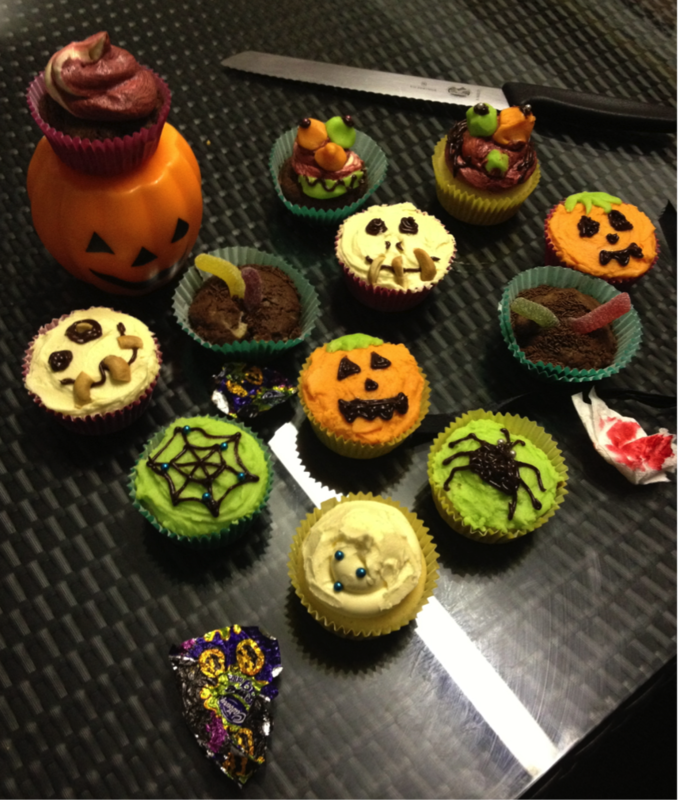 I LOVE your scary Halloween cuppies – and your photos – and your GIFs – excellent post! Insanely scary and insanely tasty! Love it! I got to see you at last. 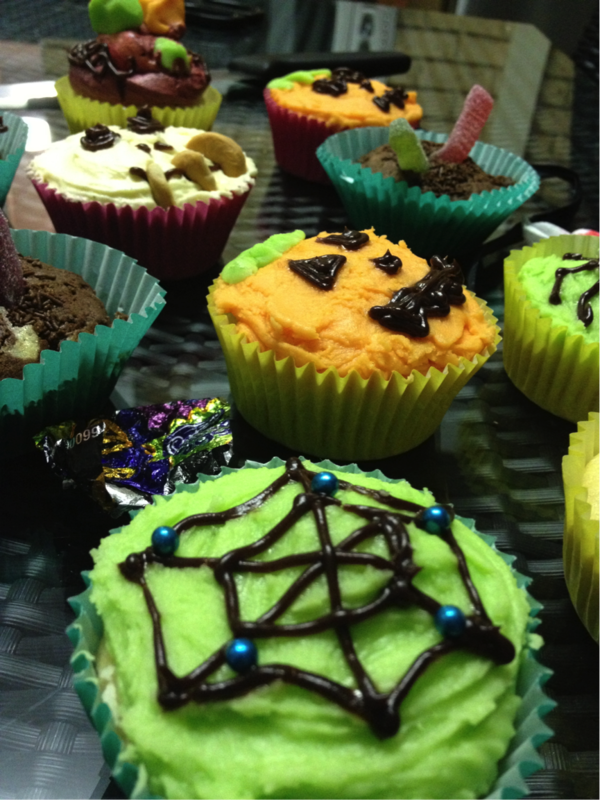 Not only the cakes are stunning to coincide with Halloween but you too. At least now I know who I am communicating with, that young pretty girl. Loving the new look site and those cupcakes are spookily cute! Happy Halloween. Hehee you two are having too much fun, and I love your cupcakes! I miss hanging out with friends and being silly. Happy Halloween~! I wasn’t sure if I was going to be able to sleep tonight after seeing the first pics, I think the cupcakes put me at ease thought. Hope you have a wonderful Halloween, stay away from those horror movies though. Worm dirt and cashew teeth! Love it! 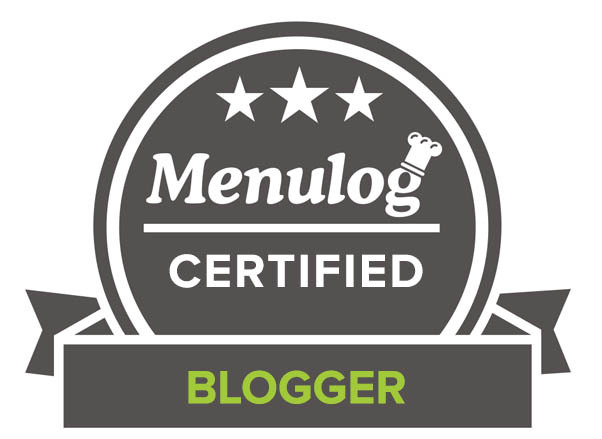 Excellent post CCU, although the hairs on the back of my neck did stand on end a bit. Have an excellent Halloween. Bwahahahahahah (evil laugh). 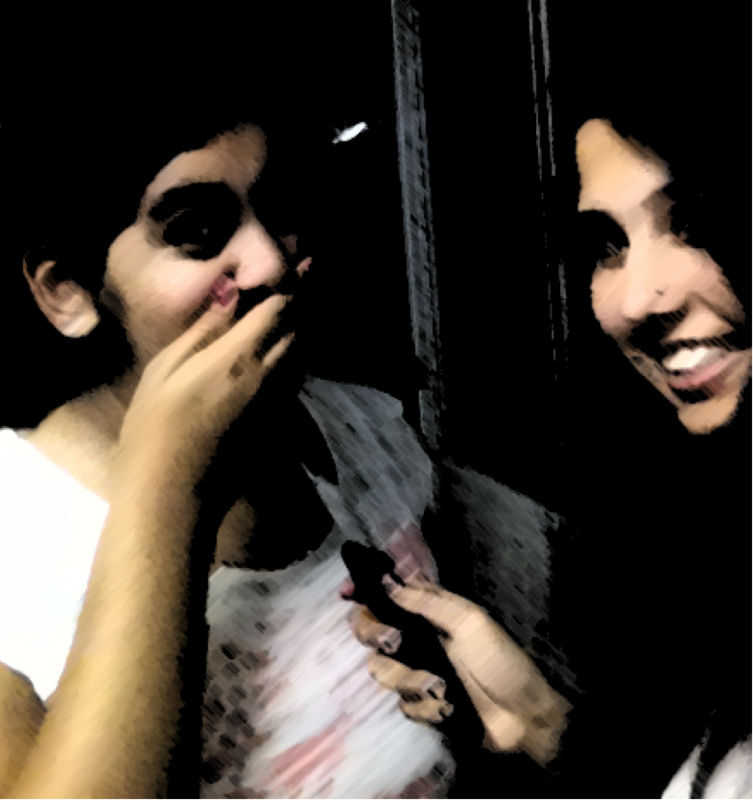 Love the evil laugh my friend, that is creeepy 😉 – sorry Vincent Price you have got competition! These look absolutely incredible! Such fun designs and perfect for the occasion! 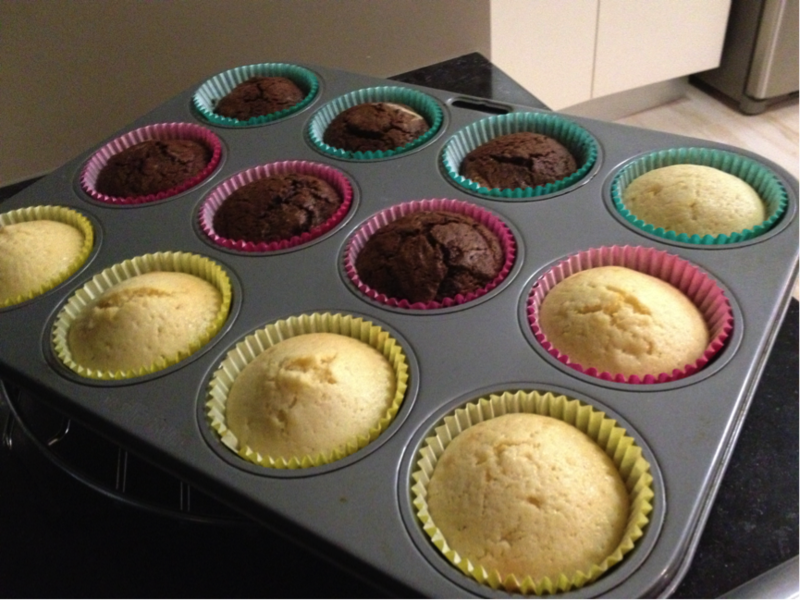 Your cupcakes turned out so great! And I loved seeing all the pictures of you and your friend! These are adorable! And they look delicious too.What a fun and festive treat for Halloween. Have a great day CCU! Hahaha!! Looks like you had a LOT of fun with your friend. 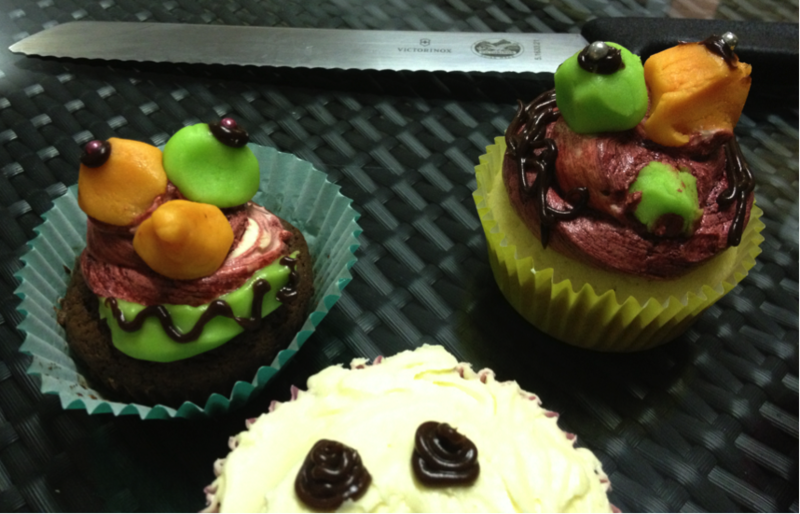 Very scary-looking cupcakes – especially the ones with the icky worms. Looks like you had a fun time baking! 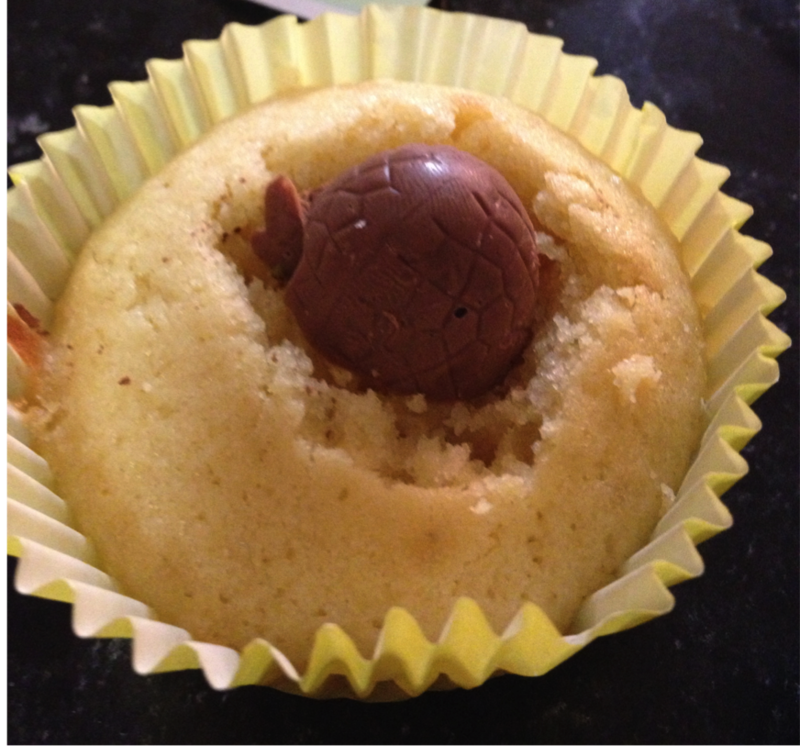 And those cupcakes… what I wouldn’t give for one now! How fun!! I wish I was over there baking up a cupcake storm with you all 🙂 Yummy!! Happy Halloween!!! So nice to see you pretty face! 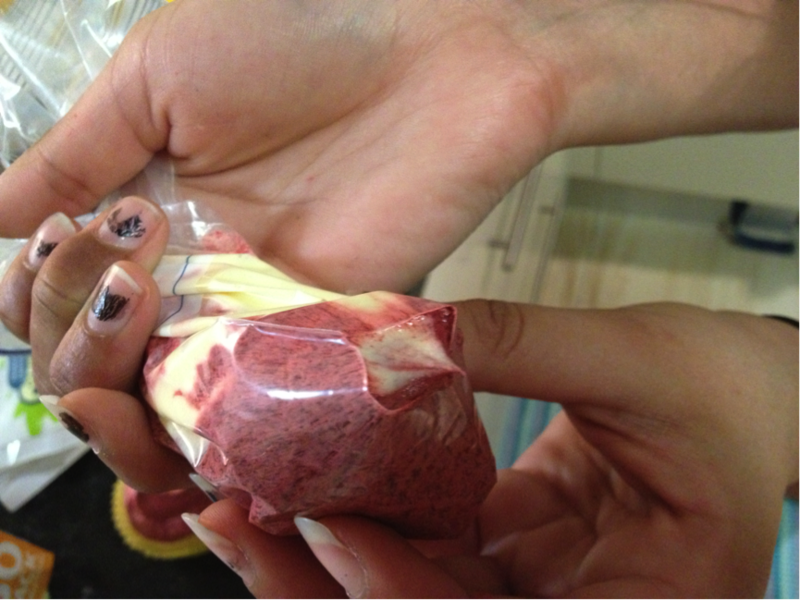 Loved this post…you guys had so much fun with each other and the cupcakes are too cute! 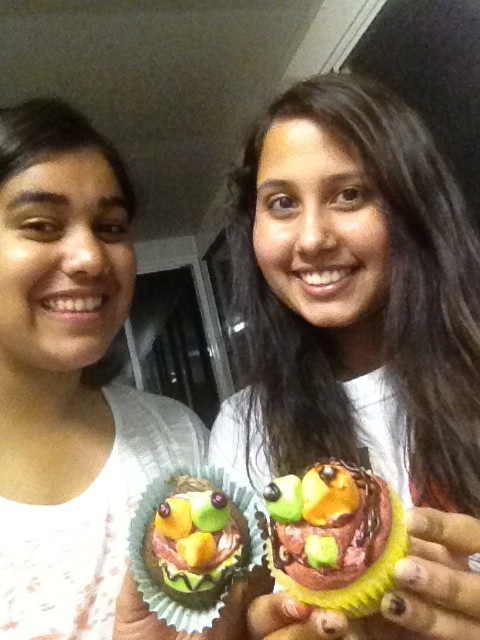 And the cupcakes were so much part of it! 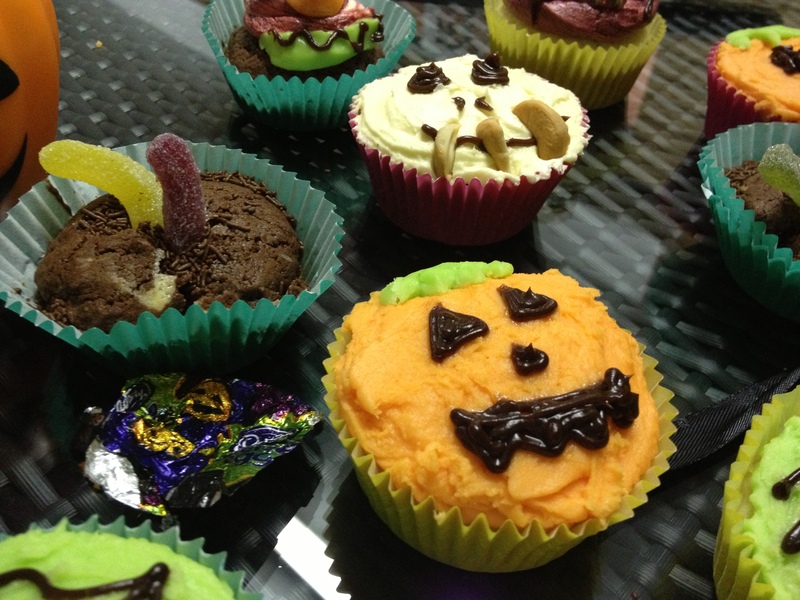 Looks like you had a great time, baking and decorating these scaary cupcakes. I like the green slime egg in the cupcake. Trick or Treat! Those are some scarilicious cupcakes!! 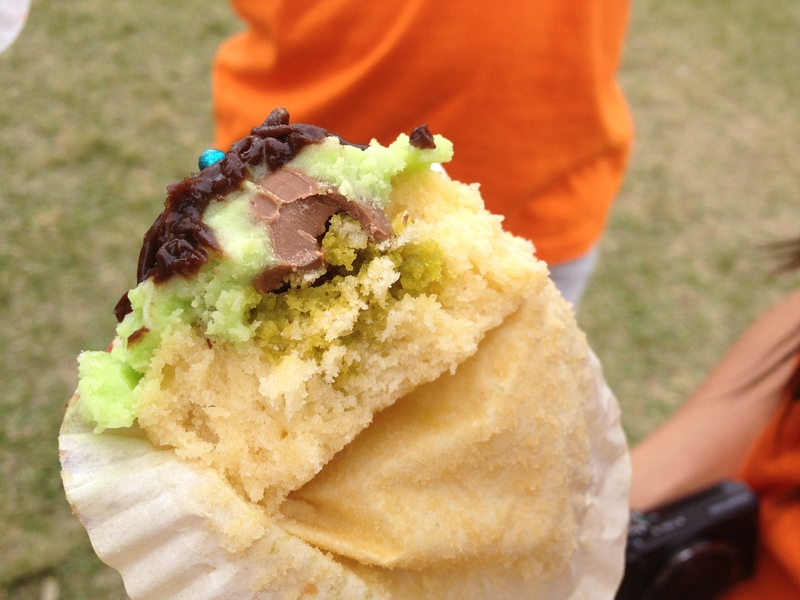 The green slime one takes the (cup)cake! Such a cute post for Halloween! Love all your cupcakes! Looked like a fun night ! Oh wow! You did an AWESOME job on those!!! By reading your post, no wonder why all kids and teens love Halloween. This year my daughter’s class has put up a haunted house in their school for spooks and squeals. Hope they have a safe Halloween party tomorrow! 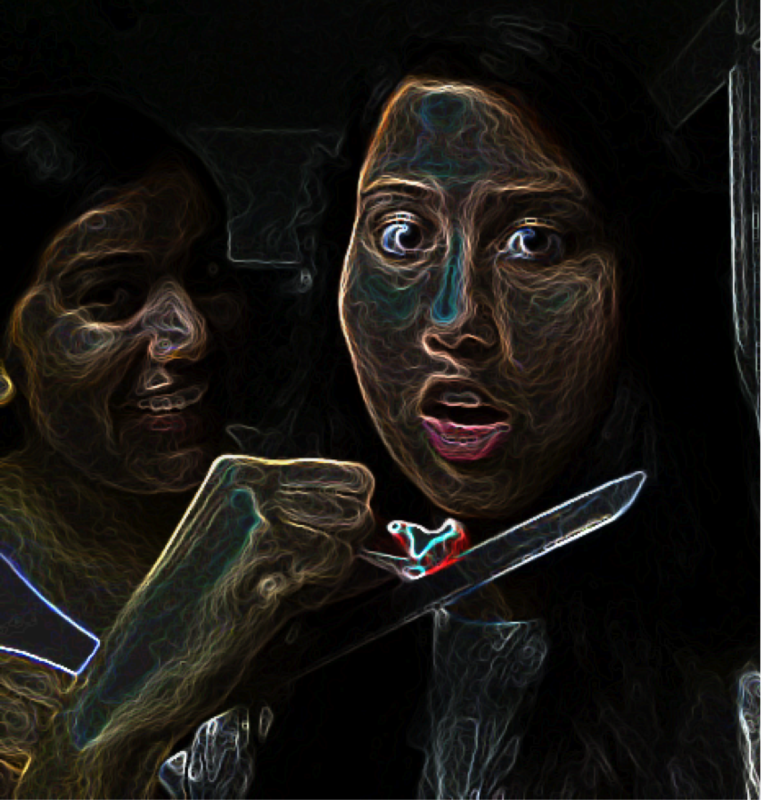 I like your special effects on photos and all your creepy creations. Oh wow that is so cool – I wish Australia would embrace halloween more! Everything was superb, as always!